Rice vinegar is also known as rice wine vinegar which is made from fermented rice in China, Korea, Japan and Vietnam. Commonly it is used in salad dressings, marinades and pickling vegetables. The color of rice vinegar ranges from clear to various shades of red and brown. Each variety has got different taste. If compared to Japanese ones, Chinese rice vinegars are stronger and color range from clear to various shades of red, brown and black. It is also called rice wine vinegar. Japanese and Chinese vinegars are less acidic than distilled Western vinegars. Asian rice vinegar is more mild and sweet than vinegars used in the Western world. 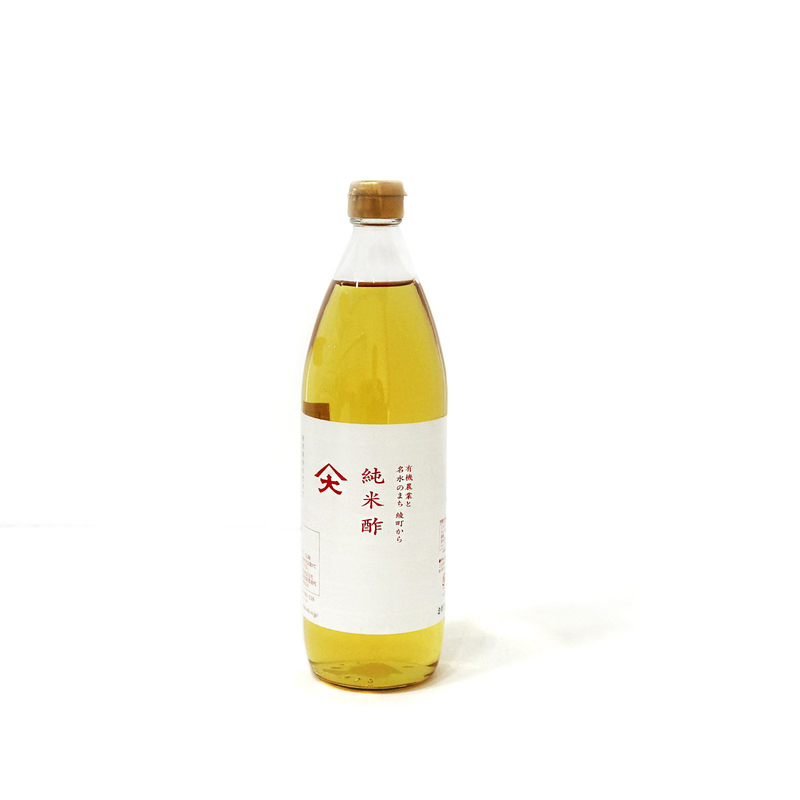 Chinese rice vinegars are made from a type of rice wine called huangjiu,. Japanese rice vinegar is very mild and mellow and color ranges from colourless to pale yellow. It is made from either sake lees or rice. This vinegar is used for preparing sunomono, tsukemono and nimono. Seasoned rice vinegar is made by adding salt, sake and sugar. Sometimes mirin is also used. Seasoned rice vinegar is used in cooked rice for making sushi. It is used in various salad dressings such as ginger or sesame dressing. Kurozu, lighter form of black vinegar is made from rice. 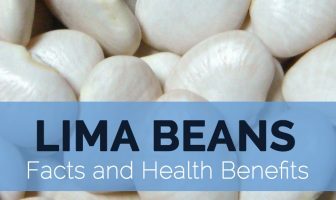 It is considered to be a healthy drink as it contains high content of amino acids. In Korea, ssal-sikcho is made with either brown or white rice. It may also use glutinous rice. Rice is mixed with nuruk. Rice wine lees are used to make rice vinegar. In Vietnamese, rice vinegar is called giấm gạo or dấm gạo. Vietnamese rice vinegar is the spicy and sour giấm bỗng which is prepared from nếp cái hoa vàng rice. Giấm bỗng is an ingredient of bún riêu, vịt om giấm bổng, and bún ốc. Black rice vinegar is well known in Southern China, where chicklang vinegar is made, and the best of the black rice vinegar. Usually sweet or glutinous rice is used to make black rice vinegar though sorghum or millet could also be used. It has dark color and deep, smoky flavor. Black vinegar has sweeter and mellower flavor. The process of aging provides a robust and unique fragrance to black vinegar. It is vinegar in dark color but lighter than black rice vinegar. It has the combination of tart and sweet taste. This vinegar is used as a substitute for black vinegar by adding little sugar. The liquid is colorless with high content of vinegar and has similar flavor of regular vinegar. It is less acidic and possess mild flavor in comparison to white wine vinegar. It also provides a hint of sweetness. It is used in Cantonese style sour and sweet dishes and also for pickling vegetables. 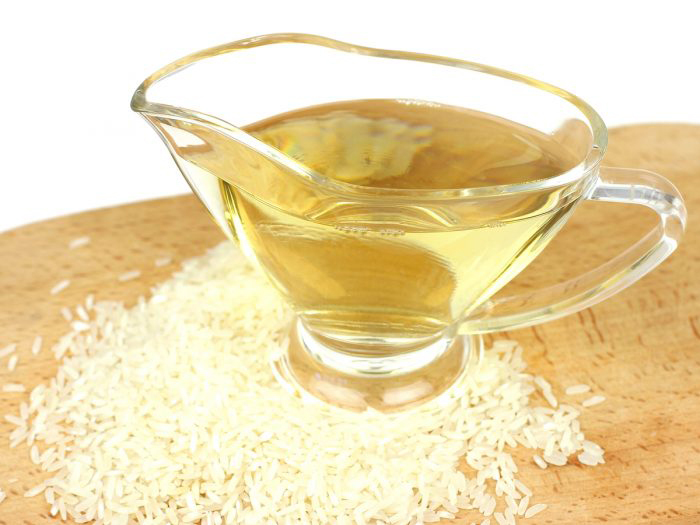 Apply this rice vinegar to the skin directly combined with tea tree essential oil. Being an astringent, it tightens skin and prevents infections. It also soothes inflammation and improves the skin’s radiance. Rice vinegar can be used as a facial toner. It is natural and chemical free. It does not cause any side effects. Use the mixture of tea tree oil, rice vinegar and distilled water as a toner. Apply it with cotton ball or spray it in the face. Rice vinegar has high content of amino acids that is essential for immune function. Use this vinegar to strengthen immune system and lower free radical damage. 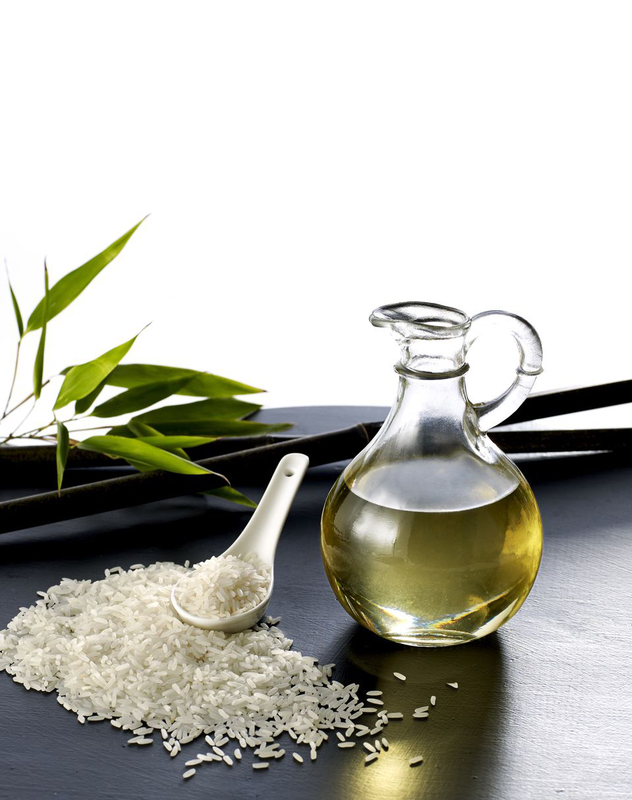 Addition of rice vinegar to the regular diet prevents formation of fatty peroxide in the body. Research shows that rice vinegar lowers cholesterol deposition in arteries and blood vessels by preventing the chances of heart conditions such as strokes, heart attacks and atherosclerosis. 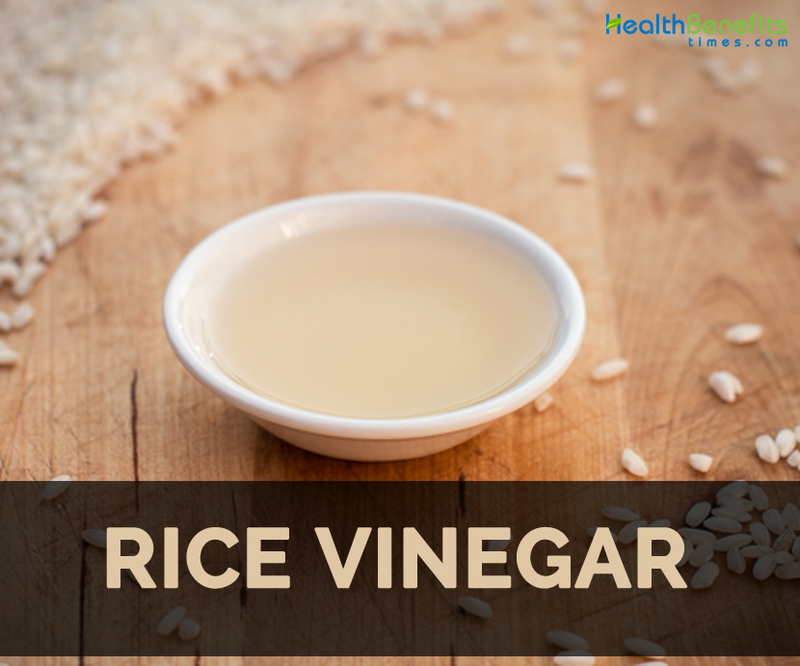 Add few teaspoons of rice vinegar to the regular meal. 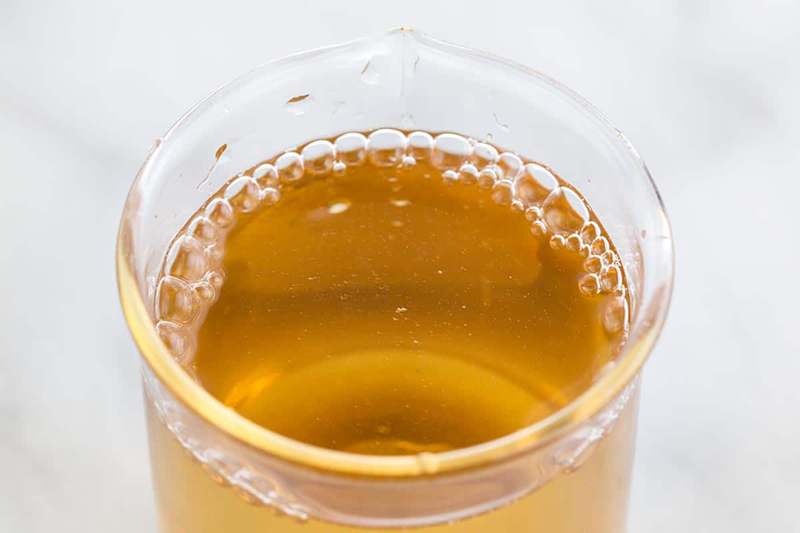 Rice vinegar has active ingredients such as acetic acid that is able to soothe inflammation in gut by promoting normal peristaltic motion as well as bowel movements. In Japan, rice vinegar has been used for centuries as a tonic for liver complaints. It promotes detoxifying effects of this organ and promotes its functions. 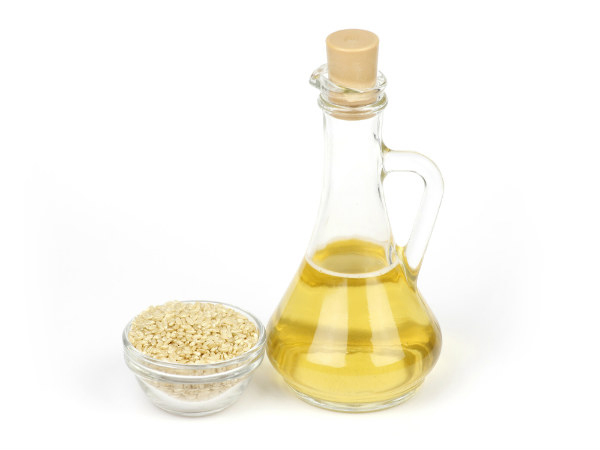 Rice vinegar has amino acids and other ingredients that combat fatigue and boost metabolism. Use it as a salad dressing to add boost. It also assists in developing lactic acid in blood. The development of lactic acid in blood causes fatigue, stiffness and irritability. Rice vinegar is a healthy option for those who are planning to lose some weight. Consuming rice vinegar with food helps to lose extra flab on the body. From the ages, people in Japan have been using it for maintaining weight. Vinegar prepared from brown rice is considered to be the best variety for this purpose. 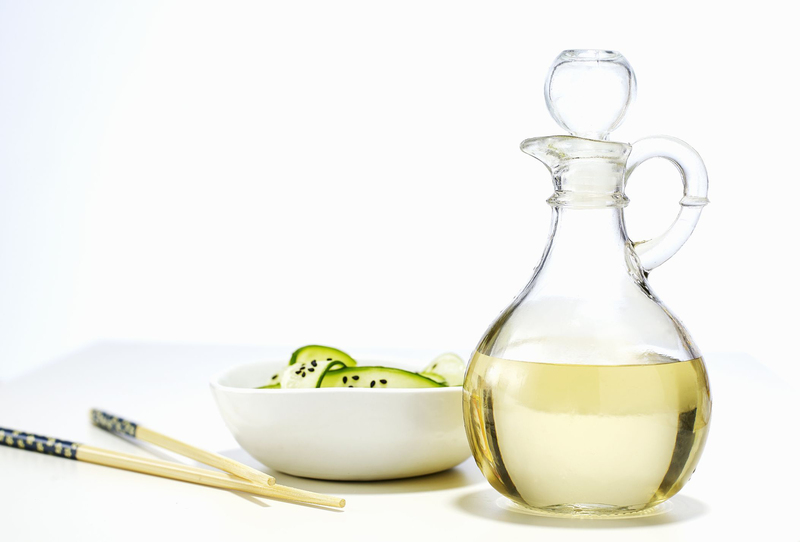 Rice vinegar is used in salad dressings, marinades and for pickling vegetables. It is a basic ingredient in Asian dishes such as sushi rice, pickled vegetables, slaws and salad dressings. It is a predominant ingredient in sushi rice. It is also used as toppings for French fries, stir fries and also as a spicy ingredient in marinades. Add it to salads and meat based dishes. Add a spoonful to stews, soups and stir fries. It could be sprinkled over cooked vegetables.